A few months ago, Wendy from PR Genie contacted me about writing a review on David Swimwear. However, due to a busy work schedule and having zero time to daydream about beach holidays, it completely slipped my mind that I even got a new set of bikini this year until early this month! 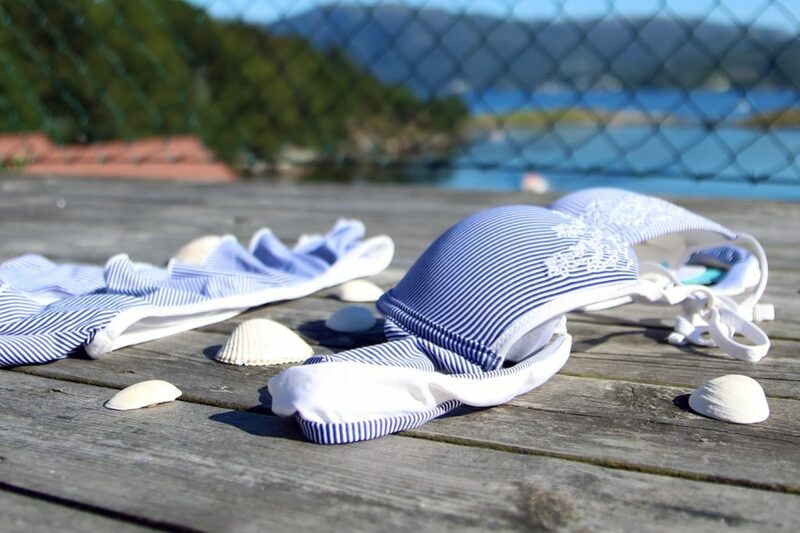 Nevertheless, I went on a fishing holiday last week with my family and thought that the “marine” backdrop and seashells would be the perfect deco for this bikini set! I personally think that David Swimwear looks fantastic on and boosts curves in all the right places. 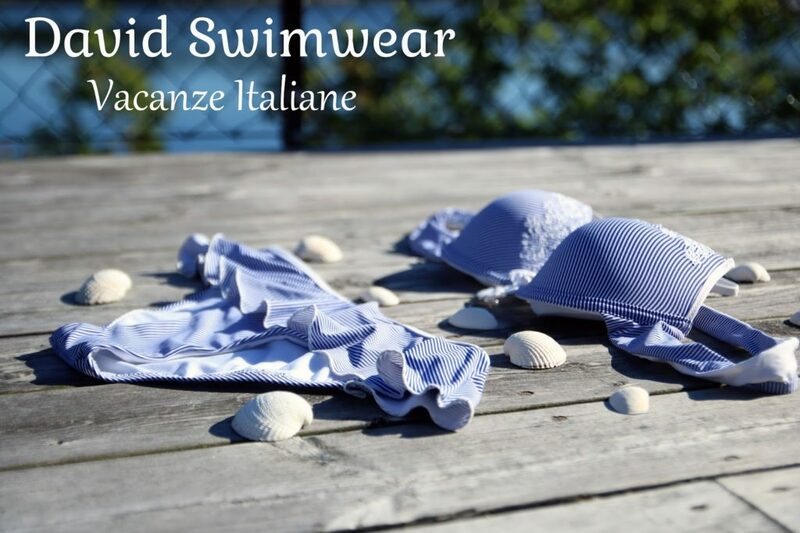 Their swimwear range, especially the Vacanze Italiane collection is gorgeously designed with fun and unique patterns! The quality of David Swimwear is also fantastic! The bikini I’ve featured here is from the summer 2014 collection, but I think the pattern is extremely versatile and will look nice for all sort of occasions and settings. The pattern is very simple, but the lace and frill detailing is what makes this bikini cute and fun! I don’t think that you can get this specific David Swimwear bikini anymore, but it gives you an idea of what they do. If you’re interested in finding out more about the new collection, feel free to have a little browse on Patricia Eve! P.S. There’s also a “bonus” section which I’ve added on the brand Iconique, which you can also find at Patrica Eve. Iconique Dress: I also received a dress from Iconique with the Bikini. I was planning to write a separate post on the dress, but thought it would fit nicely in here! It’s got a similar background and it goes well with the bikini. Iconique sells beachwear cover-ups & accessories including kaftans, beach dresses, bags and more! Once again, you can browse through their latest collection on Patrica Eve. *Disclaimer: This product was sent to me for review, but the thoughts are my own.